Thousands of moviegoers have packed theaters during this season to enjoy Star Wars: The Force Awakens, the latest installment of the mega-franchise. Its director, J.J. Abrams, known for such mammoth productions as the rebooted Star Trek movie franchise and Mission: Impossible sequels, wowed audiences with the type of jaw-dropping special effects that comes with an epic motion picture that’s expected to become the all-time box-office champ. His production budget: a stratospheric $200 million. Now, let’s review a successful film that has a more down-to-earth production budget. 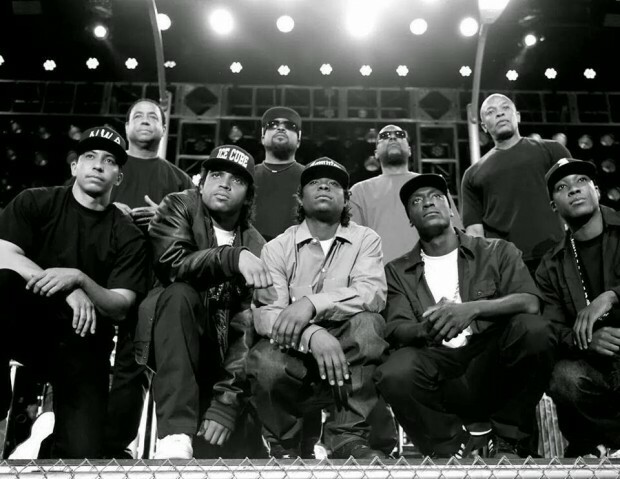 Straight Outta Compton, the biopic about ’90s rap group NWA, hit movie theaters this summer. Directed by F. Gary Gray, the veteran African American filmmaker known for such classics as Friday and Set It Off, the film grossed more than $200 million worldwide. His budget: a mere $28 million. We’ve all seen this movie before and don’t have to wait for the ending. Despite proven track records for producing quality films and commercial success, African American filmmakers–a list that includes Spike Lee, Antoine Fuqua, Reginald Hudlin, Robert Townsend, Ava Duvernay, Will Packer, Gina Bythewood, and up-and-comer Ryan Coogler–just don’t gain opportunities to produce and direct blockbuster franchises as well as participate in the huge financial rewards. In fact, there was not a single 2015 film release from a black filmmaker in which the production budget exceeded $35 million. This same old script continues to be written even though African American filmmakers consistently make some of the most profitable films in Hollywood. More insulting, African American consumers contribute significantly to the top and bottom lines of the motion picture industry, which grossed $10.4 billion in North American box office receipts in 2014. According to a recent Nielsen survey, annual African American ticket purchases is roughly 19% higher than those for non-Hispanic whites. This impact doesn’t take into account our viewership of DVDs and streaming services. As Lee maintains: “Hollywood is in the film business and we’re in a situation where people [who] make decisions on what films get made do not reflectÂ the diversity of this country.â€ And Cheryl Boone Isaacs, the first African American to preside over the Academy of Motion Picture Arts and Sciences, recently said studio heads need to re-evaluate diversity related to greenlighting, hiring, and casting motion pictures. I wholeheartedly applaud Lee and his comrades who produce films “by any means necessary,â€ stretching shoestring budgets, gaining financing through alternative sources such as crowdfunding, and using digital media for marketing and distribution so our stories can be told. The diversification of the entertainment sector and development of creative and business opportunities for African Americans inspired the partnership between Black Enterprise and Film Life, the company behind the American Black Film Festival, that formed ABFF Ventures. In fact, we will celebrate ABFF’s 20th anniversary as a platform for young filmmakers to showcase their vehicles this June in Miami (www.abff.com). Moreover, we plan to expand our role as a catalyst for across-the-board diversity within the industry. The reason: Veteran and emerging filmmakers will not achieve blockbuster status until studio and network chiefs attend events like ABFF with the intent of discovering, recruiting, and financing African American talent. The critical element to our agenda, however, is the education of the swelling numbers of African American consumers of entertainment. As in all areas of our business and financial lives, we must vote with our dollars. In this case, it is imperative that we demand greater access to opportunities for African Americans in all aspects of film development. We make a significant contribution at the box office to the success of blockbuster motion pictures. Let’s show these studios that the force is with us.